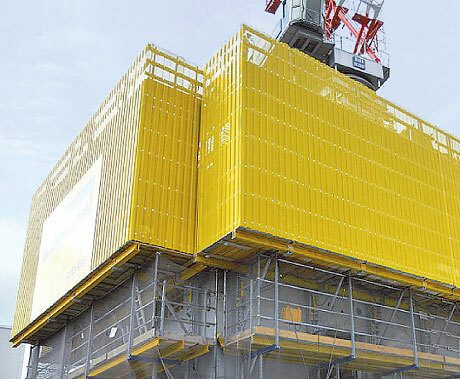 With its modular design, SKE offers an efficient solution for any type of structure and any requirement. 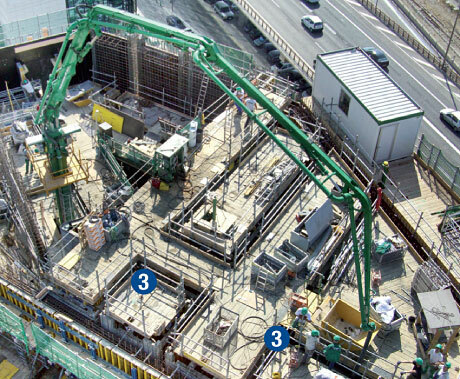 The fully hydraulic equipment supports the construction workflow by allowing for fast and safe repositioning processes. SKE50 plus and SKE100 plus climbing units in all their design variants were ideally combined in this project. As a result the equipment was perfectly utilised and the project solution implemented cost-effectively. 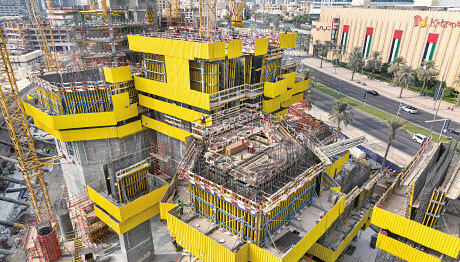 Automatic climbing formwork SKE plus is definitely the 'safe' system choice. Its wide, fully enclosed working platforms, the well thought-out access paths and the gapless enclosure all make for a high level of safety at your site. 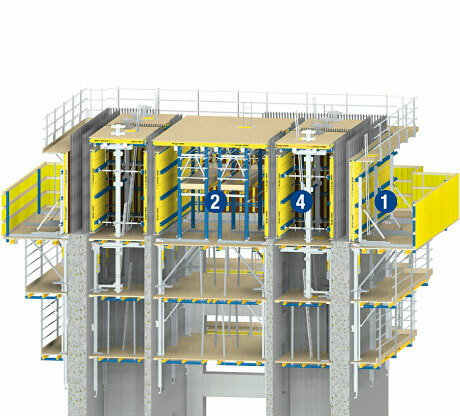 Up to 20 automatic climbers can be raised from one casting section to the next by a single hydraulic unit. 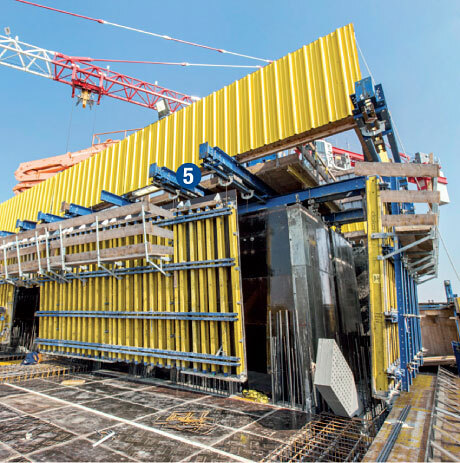 Thank you for your interest - Automatic climbing formwork SKE plus. 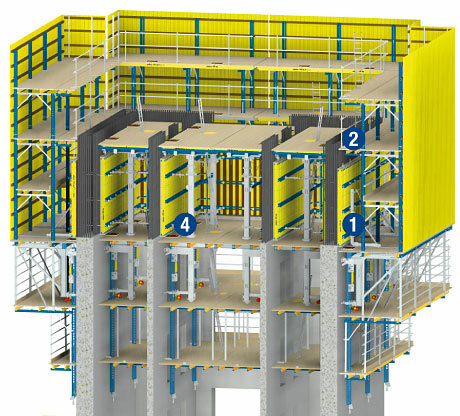 Thank you very much for your interest - Automatic climbing formwork SKE plus.